Line segments and arcs collide in this elegant, geometric composition by Mateo López. 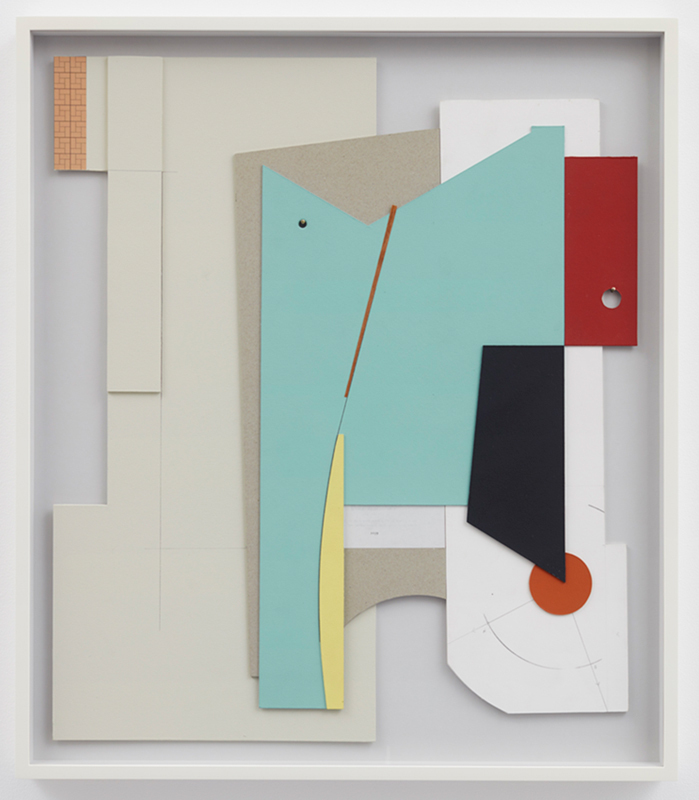 The artist layers found paper and raw cardboard that he has painted or impeccably marked and cut, constructing a conglomeration of angles that internally supports itself with two pins placed into cut-out holes in the piece. The physicality of the drawing brings the two-dimensional medium to life, as López states, “a building was a drawing at some point, that aircraft I hear crossing the sky, the plan of this city… an image is not flat; it is an atmosphere, it contains time and space.” The architectural quality of the work comes, in part, from López past as an architect and draftsman in Bogotá, Colombia. His works have been exhibited at venues worldwide, including The Drawing Center, New York; Museum of Contemporary Art Detroit; MoMA, New York; and 29 Bienal de São Paulo.